Don't judge me. 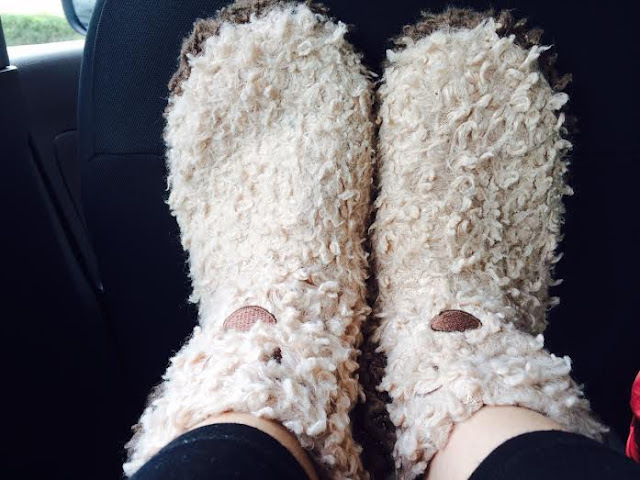 I love me' slippers. As my grandpa just said: 'it can be useful sometimes' of course texting and group messaging and googling etc is a godsend but other times (like today for example!) it can be downright annoying. There. I've said it. I'm sorry. But you have to admit there is truth in that sentence: how many times have you been locked out of your account? Or had to change a password because you forgot one? Or had to desperately google something and then work out why the wifi isn't working!? I have done them all. Numerous times. So yeah. If anyone knows how to get my account back please let me know. I know the password just not the email I signed up with, because I probably made one up. Maybe this is my own fault but I'm too sad to be thinking about ethics right now. *little disclaimer* I am in no way shaming Pinterest or the internet or technology or anything like that, I LOVE them all- to be honest I am just shaming myself and my utter stupidity! Lol.